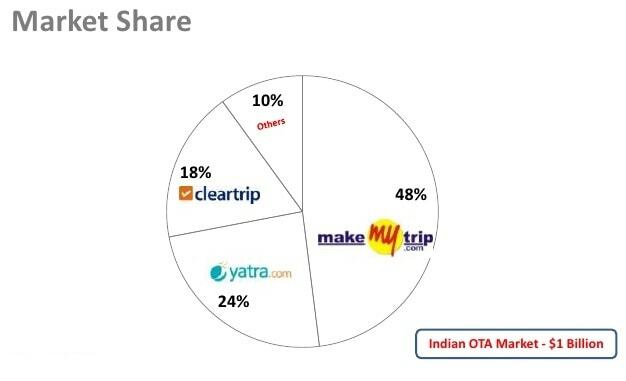 Case study: How MakeMyTrip became leader in Online Travel Agency? 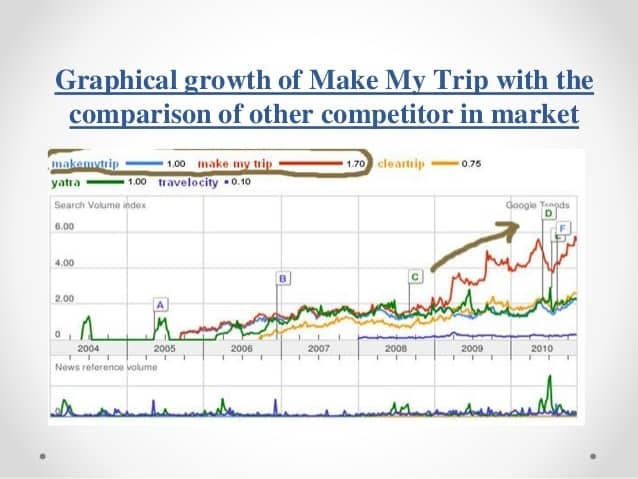 Home > Blog > Blog > Case study: How MakeMyTrip became leader in Online Travel Agency? After completing MBA, the founder of MakeMyTrip Deep Kalra worked at ABN Amro Bank and GE Money and lived a luxurious life. But he was not in a mood to listen to his boss’s voice. His life dramatically changed after a meeting with his friend at a Mumbai mall where they developed the business plan over a napkin and a top most company came on the floor from napkin. Kalra was in a mood to open the online travel portal in such a situation when there were only 50 million internet users and out of which only 2 million had broadband connection. The investors were not in a mood to invest with Kalra and revoked but it was not enough to disrupt Kalra from his vision. He along with 2 other managers worked for 18 months without any salary. He didn’t stop here and told their employees for 40% salary cutoffs. Twenty five of them moved out themselves and 17 took their own path. Kalra known for his business strategy knew the market scenario and focused mainly on the inbound customers returning to India but he didn’t forget the vision to open an online travel portal. Now the firm has many investors who came to the platform to invest in it. Some includes SAIF Partners, Helion Ventures Partners, Sierra Ventures. Founded by Deep Kalra in the year 2000 in US and then extended in India in 2005, MakeMyTrip is the largest online travel company in India and is second largest most visited travel website after IRCTC. MakeMyTrip has currently acquired the startup firm in travel planning Mygola for an undisclosed amount. MakeMyTrip Group CEO Deep Kalra confirmed the acquisition by saying “They have acquired 100 percent of Mygola”. He further added “the team of Mygola is known to him since the last 4 years and they have great product expertise”. He continued further, the acquisition was done through its Innovation Fund, which was formed to invest in start-up or early-stage companies in the travel technology space. MakeMyTrip is a well-known name for providing services in luxurious tours and hotel booking websites. The company has branched after its inception through a series of small acquisitions. MakeMyTrip has its seventh acquisition as Mygola. MakeMyTrip has acquired Mygola as third takeover of an Indian company. The site, Mygola.com covers more than 20,000 destinations worldwide, with half a million organic visitors a month. Mygola said that its app is present in 16 cities across the world which has more than 5000 installs from Google Playstore on android. The app enables the user to create custom trips in just 15 minutes. “Mygola team’s deep understanding of travelers’ planning and in-destination experience preferences will be very valuable in strengthening the areas of customer engagement” said Rajesh Magow, Co-Founder & CEO, MakeMyTrip India. Anshuman Bapna, CEO, Mygola said, ” MakeMyTrip is the leader in one of the world’s most exciting travel markets, and the team is super-excited to bring all this knowledge to the millions of MakeMyTrip travellers”. The services and products provided by MakeMyTrip includes air tickets, railway tickets, bus tickets, holiday packages, hotel bookings, car hires and many more. With the acquisition of Mygola, now MakeMyTrip will enable its customers to be familiar with over 20000 holiday destinations to choose from. An employee from the development team confirmed that all the 15 employees of Mygola will work as usual under the name of MakeMyTrip. The acquisition comes at the time when the digital marketing industry is booming and the travel sector is heating up in the industry. According to a report from starter data tracker Tracxn, “The travel industry has received about $71million in funding so far in 2015 which was around $55million in overall 2014”. Series “A” seed funding of about $1 million came to Mygola in December 2011 from the US-based accelerator 500Startups, Blumberg Capital and a few angel investors. Again in October 2013, Mygola raised $1.5 million in Series “A” funding from Helion Venture Partners and others. At present MakeMyTrip claims that their app have been downloaded around seven million. They are getting 40% of their sales through the mobile phone which was 20% in 2012, “said Magow, the co-founder”. Mobile contribution to traffic grew to 33% in 2014 from 20% in 2013. Mobile users contributed more than 34% of total online domestic hotel transactions in the last quarter. On Facebook, the company official page has 1,559,116 likes and content are posted on regular basis to keep the customers engaged on the page and let them know about the offering s and campaigns. They have a healthy number of followers on twitter also. The company joined Twitter in 2009 and in the small span of time they have above 27, 517 active followers. The company keeps on updating their page with various offers and contests and the users keep on participating in the contest. Such contests and campaigns help them to increase their reachability and boost up the sales with special offers, discount coupons and freebies. MakeMyTrip official channel on Youtube has 5775 subscribers with 15 lacs+ views registered till date for 562 videos posted by the brand. The YouTube channel consists of all the TV Commercials released by the brands, along with videos covering travel destinations, hotels and accommodations. The company has utilized the video sharing site Youtube efficiently and has taken it as the second screen after the TV commercials ads. MMT projected a turnover of $255.37 million (2013-14). The Indian operations were estimated to contribute over 50 per cent of MMT’s projected turnover and MMT was expecting that in the initial years, 90 per cent of the sales would be online and rest through its call centre and physical offices. The business model focused on generating revenue from travellers to and from India. Within a year after inception in India, MMT has acquire a strong customer base of over 200, 000 delighted customers and selling over 3,000 flight tickets, 300 hotel room nights, and over 50 holiday packages every day.